An Grianan Hotel is located in the blissful village of Burt, Inishowen, Co. Donegal. Only 10 – 15 minutes from Derry, Letterkenny and Buncrana. A real ‘gem in Irish Hospitality’. 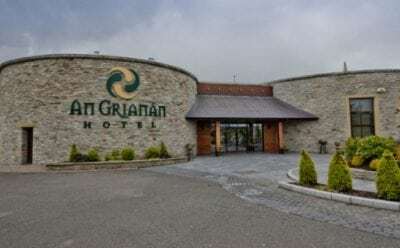 The Hotel itself gains its inspiration from the ancient Grianan of Ailigh Fort which stands proud on the hill shadowing the Hotel. It opened its doors for business in December 2006 and has grown from strength to strength and has been regarded by many as one of the finest Hotels in the North West.